Diary Writing - in a Nutshell! Diaries often give us a glimpse into the innermost thoughts and personal feelings of an individual or even historical figures. They are capable of providing an unbiased recollection of events occurring at the time in which they were written. A dairy can be in any form, a regular notebook, a specially designed diary which comes with small padlocks on them, or your computer on which you write on the hard drive or even the internet. You can write anything you want, not worrying about spelling or grammar. You are the only person who is meant to read it and unlike other writings a diary is generally not meant to be read by anyone else. There are many reasons why people keep a diary. For some, it is the way to nurture their creativity wherein writing sparks new ideas or develops thoughts. For others keeping a diary is a way to stay emotionally healthy. Diary in simple is a way of keeping a record of what happened when. You can maintain a dairy for any reason that interests you. Here are some of the reasons you would want to write diaries. It reflects on what sort of a person you are. Diary writing gives you space that you need. It imitates your journey or how far you have come. It supports recording of special and normal events. It has a kind of therapeutic effect. The oldest known diaries came from East Asian and Middle Eastern cultures. Pillowbooks of Japanese court ladies and Asian travel journals offer some aspects of this writing genre. The scholar Li Ao in the 9th Century AD kept a diary of his journey through China. Arabic diaries were written in the medieval near east before the 10th century. The earliest surviving dairy of the era that resembles modern diary writing is that of Ibn Banna during the 11th Century. His diary is the earliest known one, to be arranged in order of date like modern diaries. In 1908 the Smythson Company created the first featherweight diary enabling diaries to be carried about. In the age of computers, people use the internet to share their thoughts and keep a diary. Instead of old fashioned paper diary many opt to make an electronic diary or an online one. They start their own blog where personal interests, ideas and opinions can be expressed. The electronic or online diary is virtually infinite and cannot get into wrong hands easily. It is not unique and physically bound to a location and hence can be copied a numerous times to keep backups if there is a computer crash. The computer in case shared with someone else, can be password protected, meaning there is no risk about somebody getting your personal item. On the other hand, a hand written book of records or paper diary helps you know exactly where you are. You can see it the whole day or week at a glance and do not have to be annoyed with reminders online. The biggest advantage of paper diary is that it is private. Moreover, you can use and carry it anywhere and no computer skills are required managing it. It doesn’t break down or get a virus. It is cheap and easy to replace. How to write an interesting diary entry? 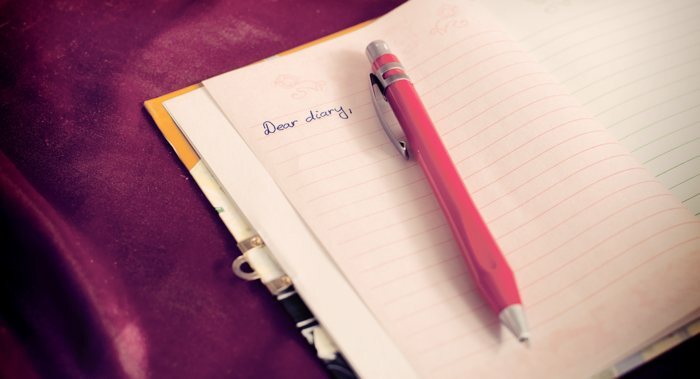 Be as honest as possible – open up and put your soul on the page while making a diary entry. Write to the world - Don’t start the entry with personalized words like ‘dear’, instead write for someone else’s eyes. Keep things in order - Chronological order is the best way to construct a diary entry. Spell check your entries – poor grammar and spelling makes it difficult to decipher the entry once you attempt to read it again. Give details – Diaries are all about personal reflection. Being very detail oriented is the key. It is not difficult to write a great diary. You just have to be willing, open and honest in the process. By following these simple, quick tips you can write a great diary.